The Association of British Car Clubs Inc. The Association of British Car Clubs is a club whose members are made up of numerous individual British Car Clubs and interest groups. 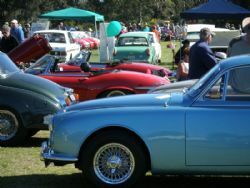 The Association runs an annual event called the All British Display Day which dates back to October 1981 when it was organised by the Austin Motor Vehicle Club. The Austin Motor Vehicle Club continued to organise annual displays to support various charities, up to and including 1988. In 1989, the Association of British Car Clubs was formed to replace the Austin Motor Vehicle Club as coordinator of the annual All British Display Days and to encourage the preservation of motor vehicles made in the UK or in other countries by British manufacturers. The Association brings together the Clubs that encourage the preservation of particular marques. British motorcars have an important place in motoring history. 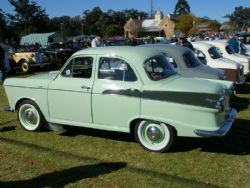 They covered the whole spectrum of motoring requirements, from minimum cost vehicles such as the Baby Austin to renowned luxury cars such as Rolls Royce. 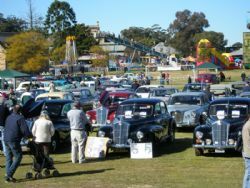 The All British Day has been held at the Kings School in Parramatta for the last five years and attracts well over twelve hundred cars. The focus of the Association of British Car Clubs is to hold the annual display of cars and donate the proceeds to a children’s charity. The designated charity for the last few years has been Camp Footloose which is run by the Arthritis Foundation of New South Wales. The club president, Robert Brandes, does a great job organising the Display day and overseeing the communication with all the clubs involved. In 2008 the Association donated seven and half thousand dollars to support Camp Footloose. For 2009 the event will be run on Sunday 30th August at The Kings School in North Parramatta.